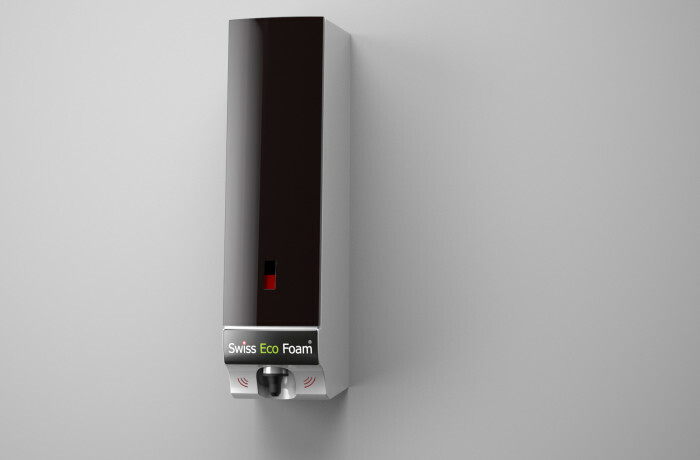 In this day and age, good hygiene is a must at businesses, stores, schools, airports, healthcare agencies or anywhere you need to wash your hands, the Swiss Eco electronic foam dispenser is a must. Only 16 ounces of Swiss Eco Line foam soap gives the economical dispenser 1250 hand washes, which is 50% less soap than other foam soap dispensers. In addition, Swiss Eco Line is 100% biodegradable.